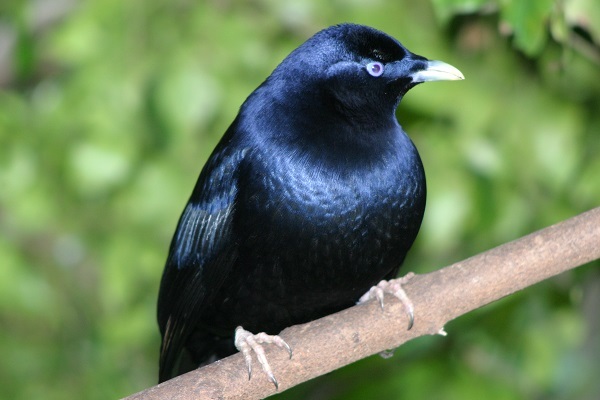 Beautiful photos of a beautiful bird, which I assume is a Satin Bower Bird. The blue bits give it away a little. 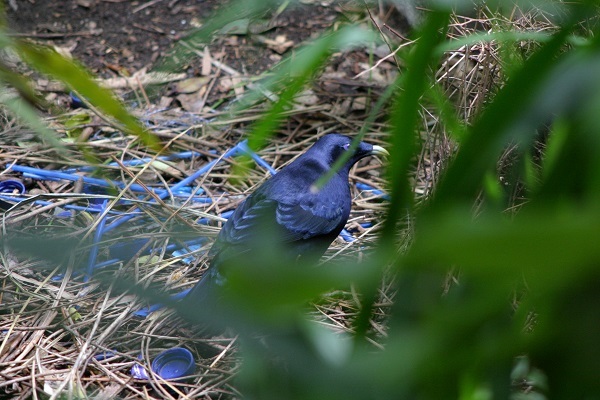 This particular satin bowerbird was to be found in one of the walk through aviaries at Adelaide Zoo. They are usually very shy but this one seemed to like people, which meant we could get some decent photos. Ones in the wild are not so cooperative and the one that visits our yard is not willing to stay and pose for the paparazzi. ;) There was also a fruit dove in there who loved to be photographed.